Ukraine criticized the Russian "peacekeeping proposal" at the UN, pointing out that it has no real relevance to peacekeeping in the Donbas. 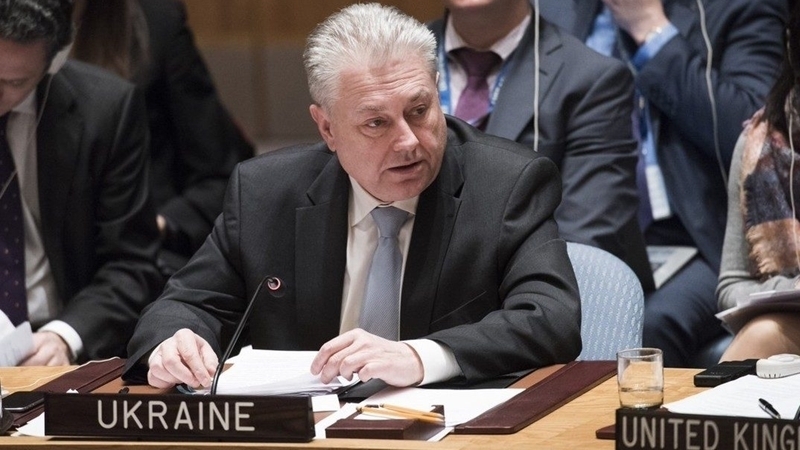 Ukraine's Permanent Representative to the United Nations Vladimir Yelchenko notes that the draft resolution submitted by Russia to the UN has nothing to do with peacekeeping in the Donbas. He made a corresponding statement during the video conference from New York on the TV channel "112 Ukraine". According to him, a concrete draft resolution was delivered by the Permanent Representative of the Russian Federation to the UN Vasily Nebenzei, and forwarded to the UN leadership with a request for all members of the Security Council to get familiar with the document. “When you read this project, at first glance, it looks so, you know, "harmless", everything is correctly written there. When you start getting a grasp, you understand that they are talking about some absolutely unreal things," Yelchenko said. “Firstly, it is not about the UN peacekeeping mission, but about a mission to protect the OSCE observers. That is, imagine the situation: there are unarmed OSCE monitors and they are guarded by UN peacekeepers. I do not see any peacekeeping in this, and I do not imagine any technical possibility to do it," the Ukrainian diplomat stressed. He also drew attention to the fact that there is not a word in the Russian proposal about the deployment of peacekeepers on the Russian-Ukrainian state border. “Secondly, in their project they say that these UN peacekeepers will be located only along the line of separation between conflicting parties. There is absolutely nothing about the Russian-Ukrainian state border, from which all the problems started. We insist, on our part, any UN mission to be primarily deployed on the border between Russia and Ukraine to return to the situation that was before 2014," Yelchenko said. Earlier, August 22, Ukrainian President Petro Poroshenko said that he intended to submit the idea of deploying a peacekeeping mission in the Donbas to the UN General Assembly next month. He recalled that on July 24 during telephone conversations of the leaders of the states in the "Normandy format" he noted the need to introduce a UN peacekeeping mission to the Donbas with the mandate of the UN Security Council. 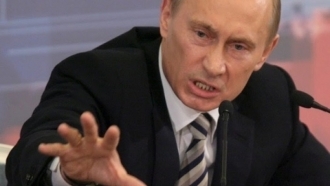 Previously, QHA reported, that on September 5, Russian President Vladimir Putin stated that he agreed to deploy UN peacekeepers only on the line of demarcation in the Donbas to ensure the safety of the OSCE Special Monitoring Mission, and instructed the Russian Foreign Ministry to submit a relevant resolution for consideration by the UN Security Council. At the same time, he noted that this issue can not be resolved without direct contact with representatives of pro-Russian militants in the Donbas. After that, Russia forwarded a draft resolution on the deployment of peacekeepers in the Donbas to the UN leadership.